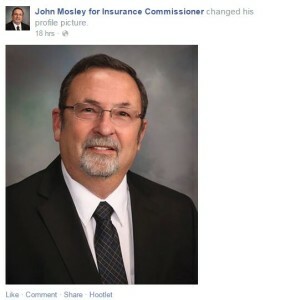 Body shop owner John Mosley has qualified to run against incumbent Incumbent Mississippi Insurance Commissioner Mike Chaney in the Republican primary, the Jackson Clarion-Ledger reported Friday. No Democrats or independents are running in the race, so the winner of the Aug. 4 primary will get the job. The Clarion-Ledger reported in July 2014 that Mosley had planned to the office and noted that the owner of Clinton Body Shop was part of a lawsuit filed against auto insurers. The case, Capitol Body Shop, Inc. et al v. State Farm Mutual Automobile Insurance Company et al, is one of 500 in 36 states, according to a recent “Anderson Cooper 360” tally. Middle District of Florida Judge Gregory Presnell ruled Friday against the shops but permitted seven of the eight counts dismissed to be dismissed. The case and several others in different states are being heard by the Florida court because the details are so similar. New arguments are due in Capitol by March 20. Jackson, Miss.-based Eaves Law Firm, which is handling the Mississippi case as well as the Florida A&E v. 21st Century lawsuit, said following a similar January ruling in the Florida case that they expected that ruling and could satisfy Presnell in a new version of the A&E case. A new complaint filed by the Florida shops seemed to carry more specifics, a feature Presnell said had been lacking in A&E and a factor also raised by a judge making a recommendation to Presnell in the Mississippi case.